40% Help To Buy Available. A one off opportunity to acquire this brand new two/three bedroom family home with off street parking for two vehicles and situated in a popular residential location. 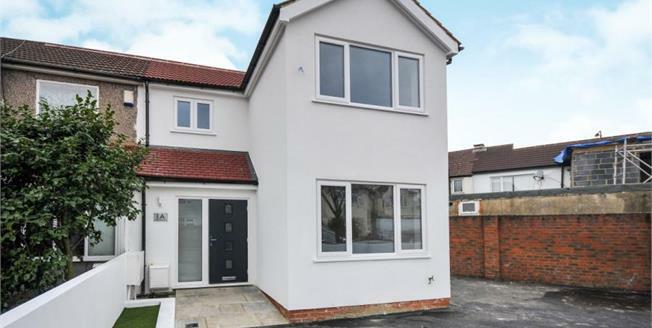 The property comprises kitchen/living area with skylights for extra natural light, tiled wood effect flooring through out the ground floor and doors leading to rear garden, stunning fully fitted modern kitchen with granite work surfaces and built in appliances. There is also a downstairs shower room and addtional third bedroom/additional reception room. Upstairs is carpeted throughout and there are two bedrooms and a family bathroom. Other benefits include gas central heating to radiators, fully double glazed windows, solar panels and rear garden. The property is scheduled for completion in January 2019 and comes with a 10 year warranty. Early viewing is highly recommended. Call 020 8764 2282 today to arrange your viewing appointment.